Use converted files in digital forensics, DLP, eDiscovery systems, and many other ways. Recognition Server can be customized and integrated into a wide range of solutions. Transform old or rare poor-quality documents into searchable, high-quality PDF, XML, or EPUB files. Digitize manuscripts printed in historical fonts and create a library to preserve cultural heritage using OCR server for . 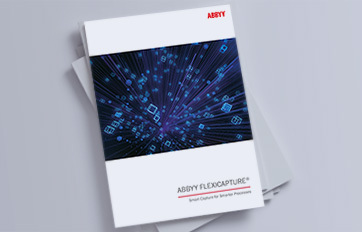 Powered by ABBYY’s optical character recognition (OCR) technology, ABBYY Recognition Server delivers fast and highly accurate results in over 190 languages. Get built-in load balancing with mechanisms that ensure the server uses all available hardware resources in the most efficient way. ABBYY Recognition Server is a highly scalable solution that can successfully complete projects where millions of documents need to be converted in a short timeframe. Create PDFs of small size and high quality with MRC PDF compression technology. Store documents in a PDF/A format of your choice: PDF/A-1a, PDF/A-1b, PDF/A-2u, PDF/A-3a are all supported. Recognition Server automatically converts paper and electronic documents from multiple formats, including PDF, JPEG, TIFF, DOCX, XLSX, ODT, PTT, HTML and more. ABBY Recognition Server converts documents stored in Microsoft SharePoint libraries into searchable PDFs, automatically and on schedule. Separate documents or add metadata with a barcode recognition that reads 1D and 2D barcodes. Automate document types and attributing through scripted rules, or do it manually to generate metadata via the convenient point-and-click tool. Microsoft Outlook 2000 or later (х86) is required for processing and sending e-mail messages via Microsoft Exchange Server and the MAPI protocol. PC with Intel® Pentium®/Celeron®/Xeon™/Core™, AMD K6/Athlon™/Duron™/Sempron™/Opteron™ or compatible processor with a CPU frequency of at least 2 GHz and at least two cores.